Gold Coast is a beautiful coastal region and also the sixth-largest city in the country. Being a world-famous holiday destination which welcomes visitors with open arms, the city has abundance of surfing beaches, daunting skyscrapers, spirited nightlife, lush forests, and theme parks. Gold Coast hosted the 2018 Commonwealth Games which boosted its infrastructure and attracted many investments that have turned it into a world-class city. It is estimated that as many as 13 million visitors come here every year. The economy was earlier restricted to tourism and construction, but now encompasses a variety of expanding sectors such as IT, marine, education, food, sports, retail, technology and many more. You can easily invest your money in businesses for sale in Mudgeeraba or any other suburb of Gold Coast to reap huge benefits. Many entrepreneurs are inspired by the development of Southport as the CBD and a priority development area which will improve the prospects further. Enriched with the presence of global workforce and a high-quality lifestyle, the region is striving towards many economic development initiatives. It does not come as a surprise that Vending Business for sale in Gold Coast are offering a viable trading platform which will grow by leaps and bounds in the coming years. Besides retail shops, food-related businesses and cafe and coffee shops are earning great margins due to the influx of tourists. While many are setting up their own restaurants, others are taking the safer route to success by picking existing businesses and franchises. The biggest assistance gained by acquiring a franchise is that you don’t have to run around to find a location and source logistics for the set-up. All the hard work and market analysis is already done by the owner. You can take over the turnkey business with minimum effort. With a GRP of $35.24 billion in 2018 and more than 64,700 businesses operating in the city, it is a goldmine waiting to be explored. The future is bright and many big corporate companies are making their presence felt in the region. If you too are interested in owning a franchise, then check out our listings for various business for sale in Gold Coast. 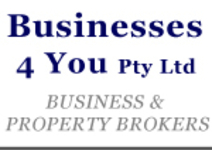 Business2sell has 26 businesses for sale and franchise opportunities in Gold Coast, Queensland. We have multiple businesses for sale in diverse categories in the Gold Coast Region such as 70 Cafe And Coffee Shop For Sale, 53 Management Rights For Sale, 51 Restaurants For Sale, 29 Takeaway Shop For Sale, 26 Food Related Businesses For Sale, 17 Other Businesses For Sale, 16 Franchise For Sale, 15 Building And Construction businesses for sale, 14 Beauty businesses for sale, 11 Convenience Stores For Sale and many more. The renowned locations around the Gold Coast region are Southport with 165 opportunities, Surfers Paradise have 161 Businesses for sale, Bundall have 81 Business opportunities, Burleigh Heads have 78 listings for sale, Yatala with 71 Business opportunities, Ormeau have 56 opportunities, Arundel with 42 Business listings, Nerang with 41 listings for sale, Coomera with 37 opportunities, etc.